1. Bologna has a long and fascinating history, and the area’s been inhabited since the 10th century BC. A visit to the Civico Museo Archeologico will give you a glimpse of the city’s Etruscan history, while the city centre is packed with beautiful medieval and Renaissance buildings. 2. The city is regarded as the food capital of Italy. Bologna is the home of Bolognese sauce, and other specialities include tortellini and tagliatelle with ragu. Legend has it that tortellini was invented by an inn-keeper in Bologna, who was attempting to capture the beauty of Venus’s belly-button. It’s hard to go hungry in Bologna, as the centre is full of excellent restaurants, and the Bolognesi take real pride in their food. 3. Never mind Pisa – Bologna has not one but two leaning towers. According to some estimates, Bologna had a staggering 180 towers in the 13th century, but the majority collapsed or were demolished over the centuries. Climb 498 steps to reach the top of the 12th century Asinelli Tower, which offers stunning views of the city and the surrounding countryside. 4. Aside from the towers, the most iconic symbols of Bologna are its elegant porticoes. 38km of the city streets are covered by porticoes providing “an unofficial catwalk for Bologna’s well-turned-out residents”, in the words of one travel writer. They’re also very handy when it rains. 5. The oldest university in the world is in Bologna. 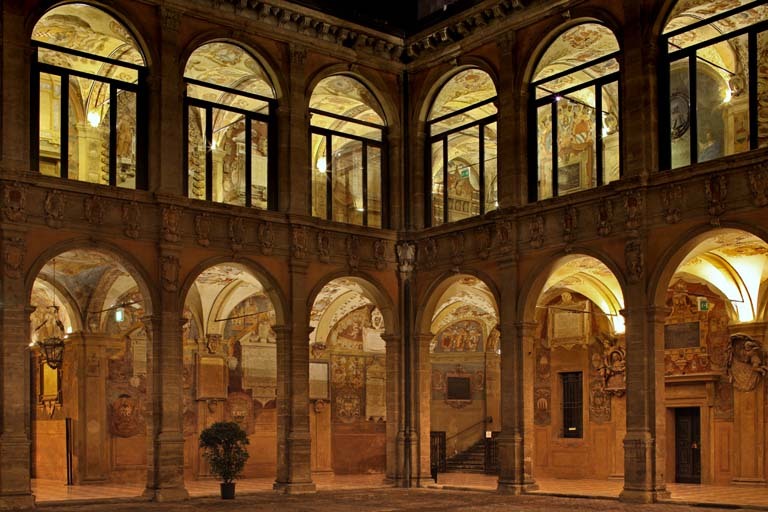 Founded in 1088, the University of Bologna pre-dates Oxford by a decade, and boasts an impressive list of alumni and teaching staff, including numerous popes, famous scientists, and the poets Tasso and Dante. The university is located right in the centre of the city, giving Bologna a youthful, vibrant atmosphere. 6. Unsurprisingly, given the student population, Bologna has lots of cultural events and a lively nightlife. The popular Cinema Ritrovato festival screens classic films in Piazza Maggiore, and there are various art and music festivals in the summer. 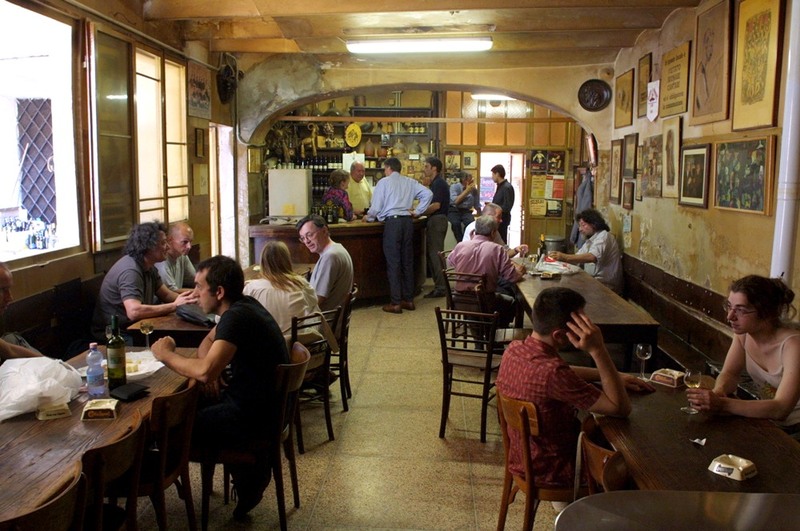 Via Zamboni is the centre of student life, with lots of pubs and bars, while a local favourite is Osteria del Sole, a 15th century drinking spot where you’re encouraged to bring your own food. 7. Bologna’s selling point is its atmosphere. It’s beautiful, elegant and historical, but at the same time it’s a bustling modern city that doesn’t depend on tourism to survive. Although there are plenty of tourist attractions, Bologna is never swamped by visitors, and there’s a healthy local to tourist ratio that makes it feel more authentic than other cities. 8. It’s the perfect base for day trips. Bologna is well-connected to the rest of Emilia-Romagna and neighbouring regions, and beautiful towns such as Ravenna, Parma, Ferrara, Modena and Mantova are just a short train journey away. Bologna is also a good stopping point between Rome (or Florence) and Venice, so if you’re travelling across Italy by train, consider spending a couple of days in one of Italy’s most charming cities. A class of Italian schoolchildren recently made the news when they announced their intentions to buy the island of Budelli, in order to prevent it from becoming the property of rich investors. How can a group of children raise the millions of euros necessary to purchase an island? The answer is simple: crowdfunding. These children believe that if every child in Italy donates towards their crowdfunding project, it will be possible to buy the island and rename it “L’Isola dei Ragazzi”. Lazio needs more love. While the neighbouring region of Tuscany has always been popular with tourists, visitors tend to fly in and out of Rome without exploring the rest of the region. It’s a pity, as Lazio has so much to offer, from magnificent Roman ruins to sandy white beaches.